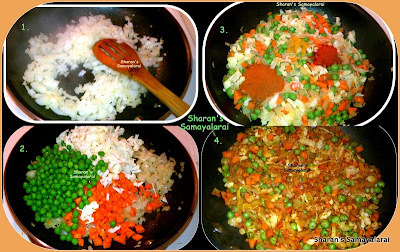 After a few requests to post some quickie recipe’s, I have come up with few quickies for all my friends who have little time to cook. 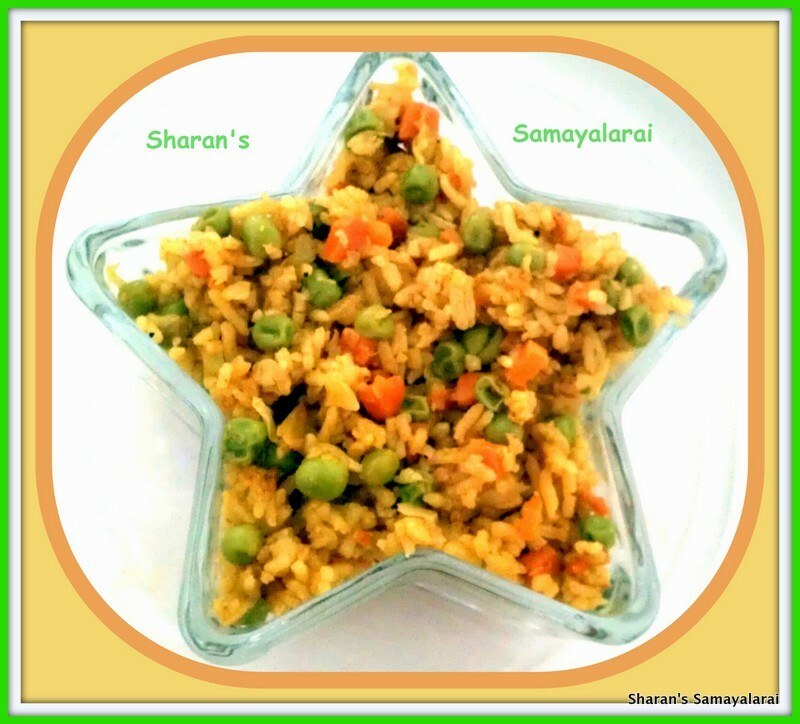 The below is a simple rice dish with veggies. 1). 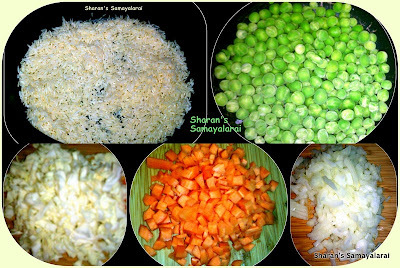 Wash and drain the rice and soak in water for 30 mins. 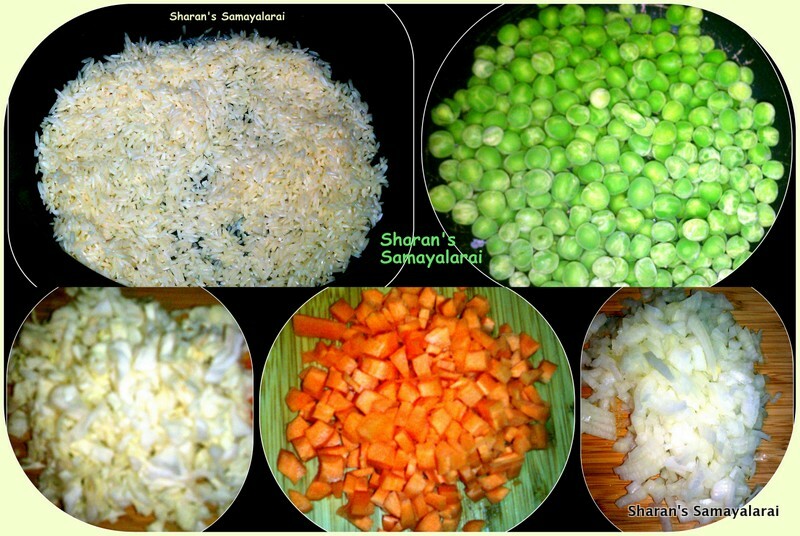 Finely chop all the vegetables and keep it aside. 2). Heat oil in pressure cooker pan and add mustard. When it splutters fry the chopped onions. 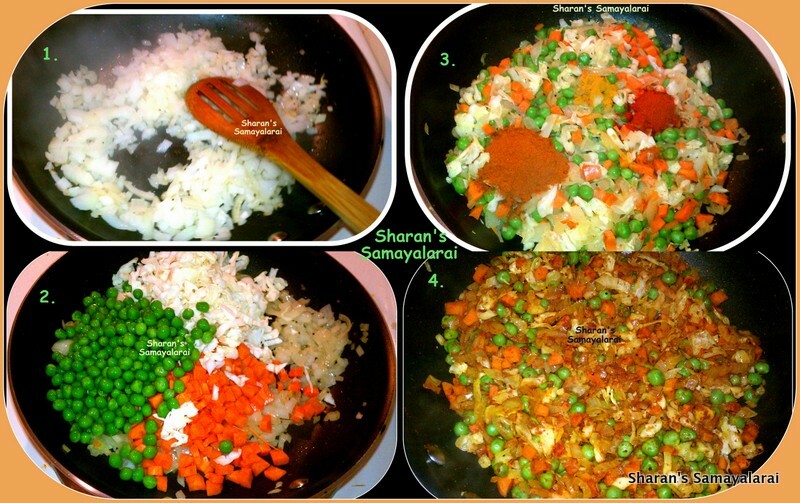 Add all the veggies along with the powders and mix well. 3). Add rice, needed salt, 2 cups of water and pressure cook for 2 whistles. 4). Simple and nutritious lunch is ready. Garnish with coriander leaves and serve with raita and papad. 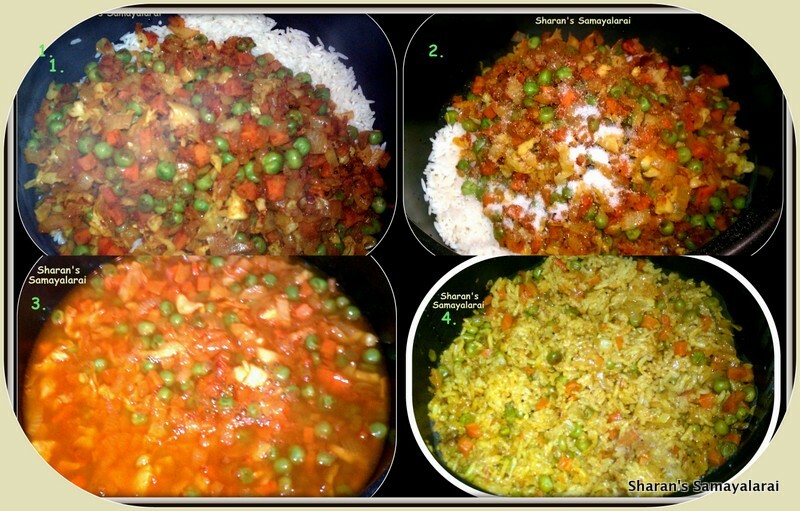 Simple and tasty rice. Thx for linking.